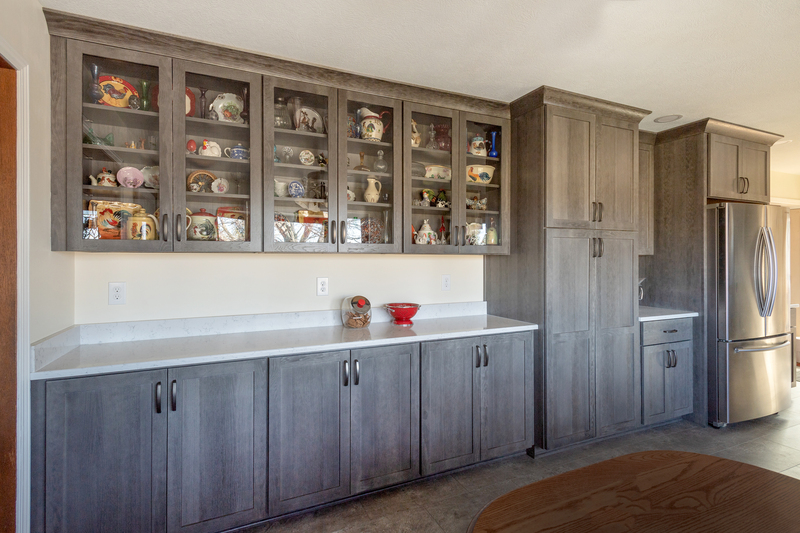 The scope of work includes removal of all existing cabinets and countertops with a mild redesign of the layout of the replacement cabinets. The designer worked with the customer to discover their existing habits and worked the design around their needs and desires. 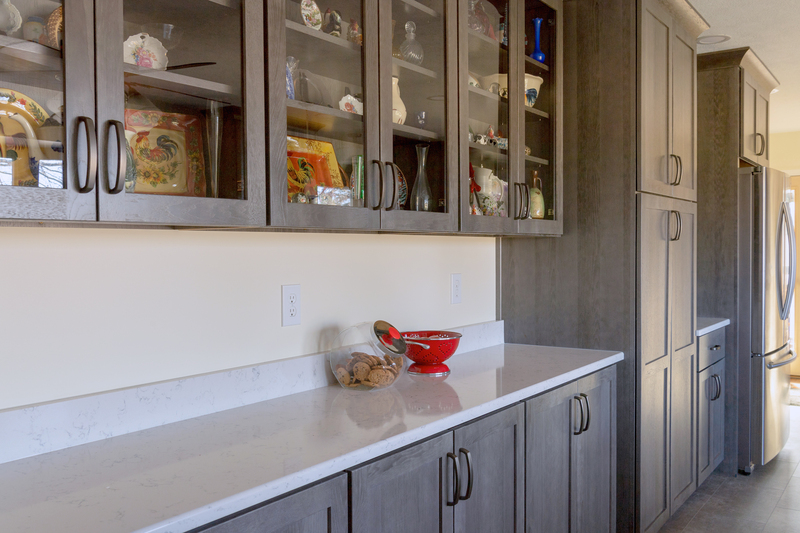 The designer assisted with color and material selections with the homeowner to ensure a cohesive design that the customer has quickly fallen in love with. 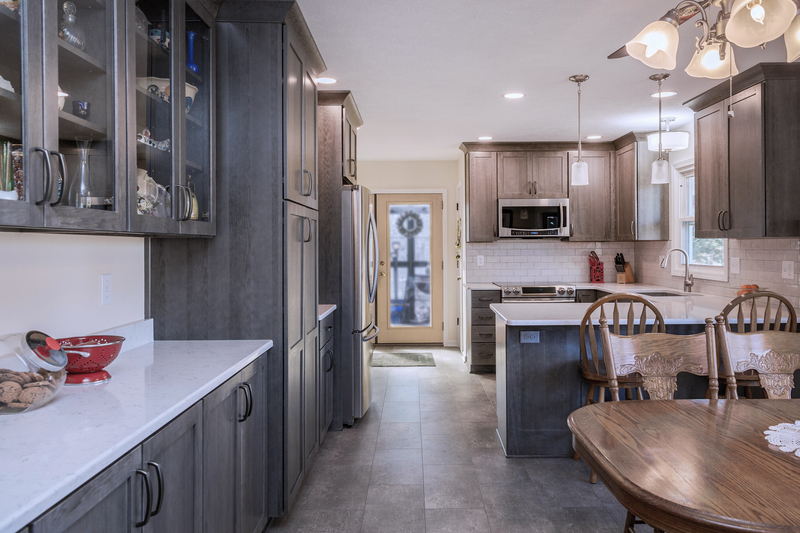 The existing flooring was removed and replaced with LVP to provide a water resistant and beautiful finish with a pattern and color to compliment the new cabinets and Quartz countertop selection. 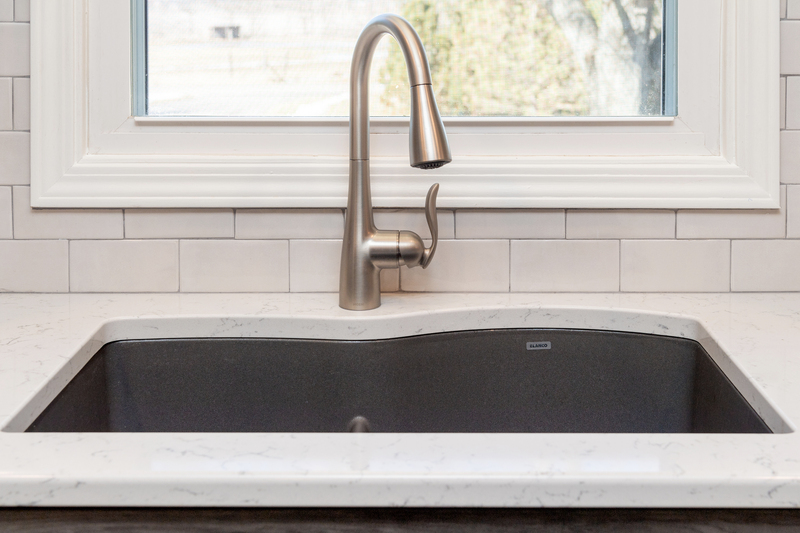 The full width undermount sink improved the usable countertop space and updates the look feel of the new kitchen. 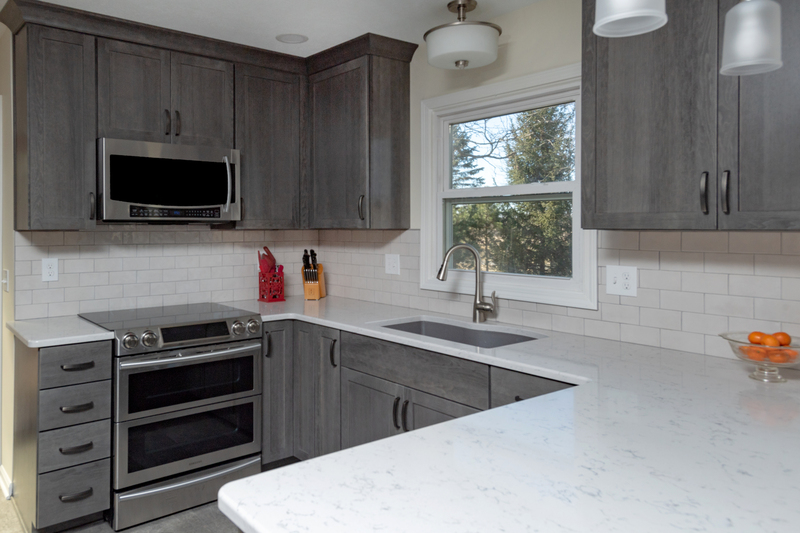 The addition of the textured subway tile backsplash helps to brighten and update the kitchen continuing the beauty of the updated Quartz countertop to the vertical surfaces. 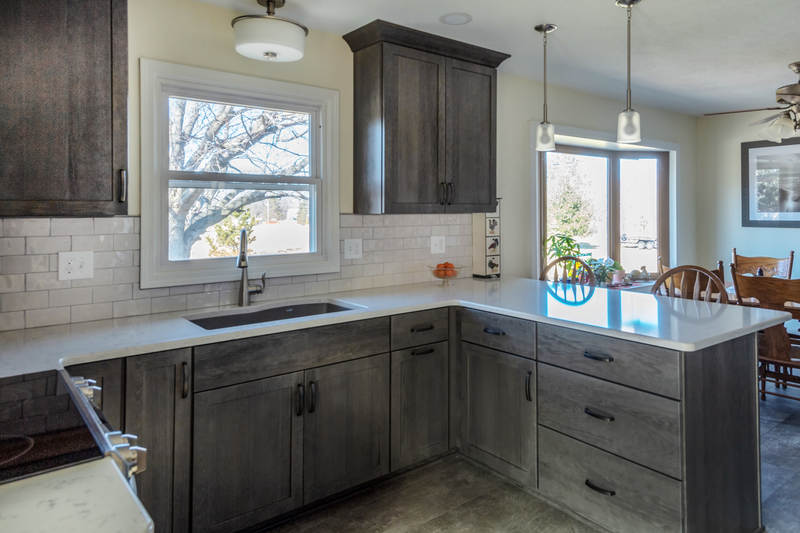 The homeowner's goal was to lighten up their kitchen and give a refresh while providing improved functionality. The customer was hoping to open up their kitchen by removing the soffits and cabinet between the dining area and kitchen.